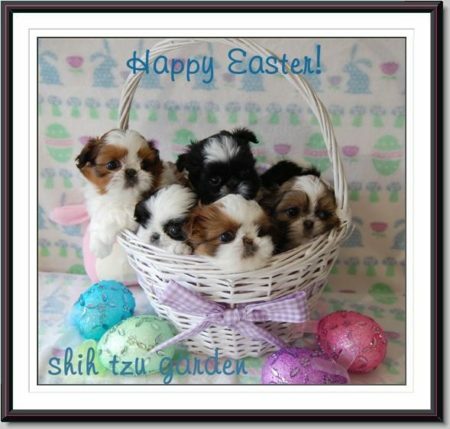 Welcome to our Shih Tzu Garden! 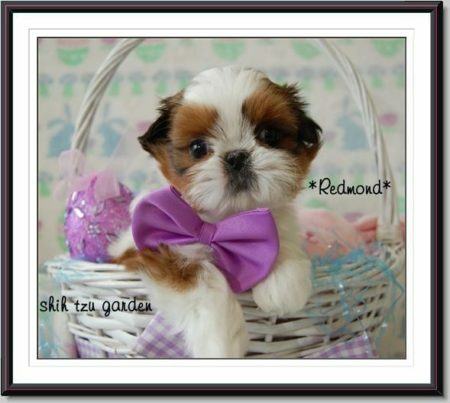 “The Place” to find your new Loving Shih Tzu Puppy, located in the Northern Bay area of California, from a reputable in-home Quality Purebred AKC Shih Tzu Breeder! Thanks for Stopping By…We love visitors and hope you enjoy browsing around! Confetti & Redmond have also been honeymooning for babies beginning of May if pregnancy is confirmed! See our Expecting page for information ! 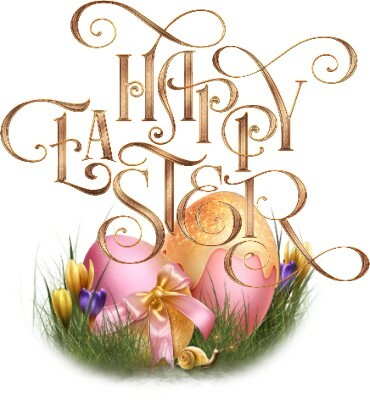 Many thanks to those of you and your families. 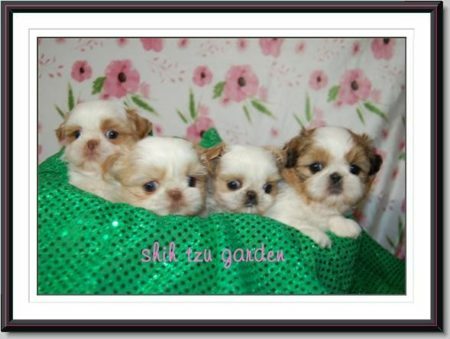 We are a small, in home, hobby Shih Tzu breeder in Northern Central – Coastal California, located between San Jose/San Francisco & the Monterrey/Carmel area. We offer Purebred, Top Quality, Adorable, Loving, and Gorgeous small standard AKC and occasionally Imperial Shih Tzu Puppies with Champion and Tiny Imperial Lines in rare and classic colors. Though not yet recognized by the AKC, you may have heard of the terms Imperial Shih Tzu, also known as Miniature, Tiny, Teacup, Chinese Imperial, small Shih Tzu, Purse Puppy, Pocket Puppy, etc in various places. These marketing terms refer to a smaller size Shih Tzu compared to the standard 9-16 pound AKC Shih Tzu. Many people hope to have the smaller ones recognized one day by the AKC, just like they recognize 3 sizes of poodles now. We do breed for many sizes of Shih Tzu so we can offer you a variety of sizes to best suit your lifestyle, however we do not breed for the tiny tiny ones (3-4 lbs). We do occasionally get them and they have all passed several health checks from our trusted vet. Our Vision here at Shih Tzu Garden is to always strive to better the breed and collaborate with others sharing the same mission in order to provide you with a healthy Puppy of Distinction. We do health testing on our adult dogs before we breed them to further insure a healthy pup for you. We also practice and implement holistic/organic methods whenever possible. We will continue to stay small in order to provide all of our Shih Tzu fur angels with all the daily love and attention they deserve and need. (this assures a happy puppy and an easier transition to you). Your Shih Tzu will be very healthy, well adjusted, pampered, socialized, happy, and alert when ready to join you into your family with potty training well underway. We provide Limited AKC registration (Loving Pet Homes) to approved homes on a spay/neuter agreement. 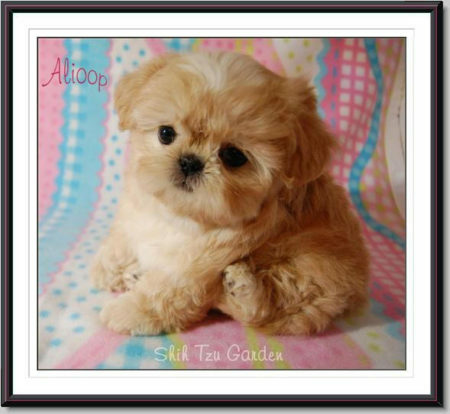 Full registration (Breeding or Show) may be provided to approved Shih Tzu puppy lovers for an additional cost. An additional adoption form will apply. We will never sell to pet stores or brokers. We ask you to please please give the same love & care our babies have been given and send us photos so we may see how our pampered tiny babies blossom into gorgeous adults. We love to see that all of our hard efforts, high costs, continual education, and many sleepless nights are consistently producing our goal of healthy, high quality beautiful Shih Tzu. If for some reason you are no longer able to care for your Shih Tzu, please let us know first so we may help you re-home or take back the dog as we do not want our fur babies to ever ever end up in a shelter or worse. We want you to be 100% happy and have a wonderful experience with your new Shih Tzu angel and will work with you as much as we can to help make your puppy dreams come true! We would love for you to stay awhile, take a look around, and return often to the beautiful Shih Tzu Garden, Where Exquisite Puppies are Grown! Please give us a jingle! We would love to hear from you! Surrounded by luscious, world renowned California wine country and a stone’s throw to the Pacific Ocean. AKC Inspected and passed with flying colors first time! Please Please do NOT buy a puppy from a pet store and keep the horrid abusive Puppy Mills in business!